The KSA competencies are IADC’s answer to the need for globally accepted competency standards. Job roles are expanding. New technologies are constantly developed. Drilling environments are getting more challenging. By working together as an industry to develop and maintain KSA competencies, we can address challenges such as these and ensure the competence of our workforce. KSA competencies list the recommended capabilities that rig-based personnel must possess to safely and consistently fulfill their job roles. These competencies provide a means by which a worker can accurately and definitively demonstrate his or her capabilities. IADC’s KSA competencies are available at no charge via the KSA database. Users can filter competencies on various criteria and generate a unique set of KSAs for each type of position on the rig. For more information contact ksacompetencies@iadc.org. 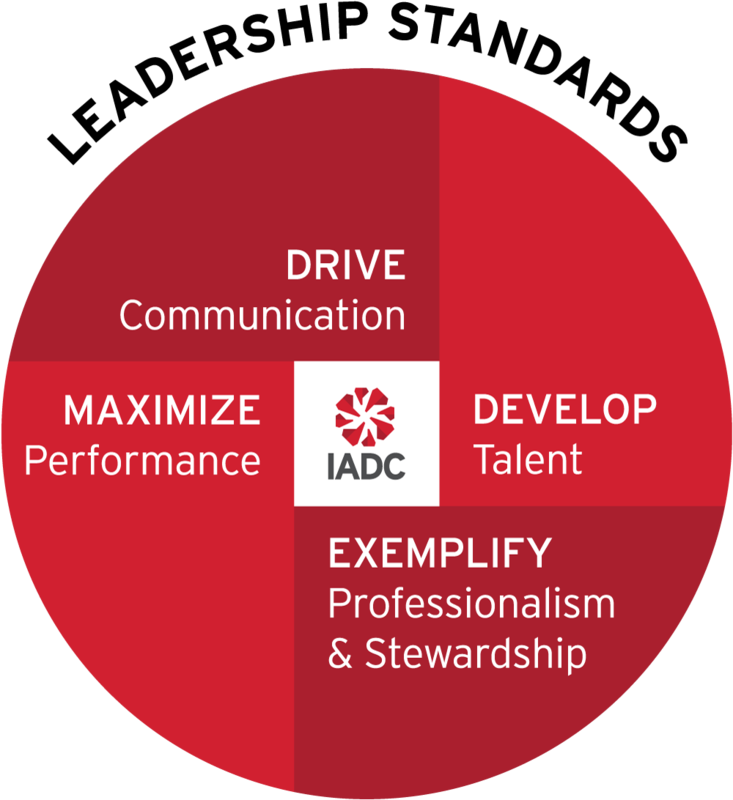 During its April 2015 meeting, the IADC Workforce Development Committee recognized a crucial need for the development of industry recommended non-technical competencies focusing on leadership. 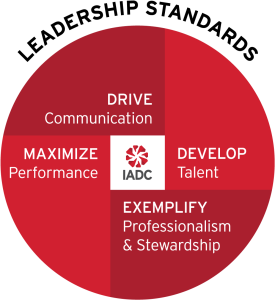 The leadership competencies, the first non-technical competencies to be defined by IADC, are designed to complement the previously developed technical KSAs and are pertinent at all personnel levels from roustabout to office operations personnel. Development and utilization is aimed at cultivating safe and reliable operations as well as enhancing operational integrity through employee development. The industry recommended Leadership Model and competencies developed by the workgroup consists of four competence standards. Within each standard are three defined levels of employee contribution: individual, team, and organization. Each contribution level has identified KSAs tied to specific positions. Competencies from lower levels roll up to higher levels. The model can be used by industry companies to shape leadership competency development within their organization, to evaluate their current leadership model, or as a basis for creating a company specific leadership model.